This ‘Coco’ Dress Costume includes a detailed Dress, Headpiece, Cigarette Holder and Necklace – all you need for a 20s look! 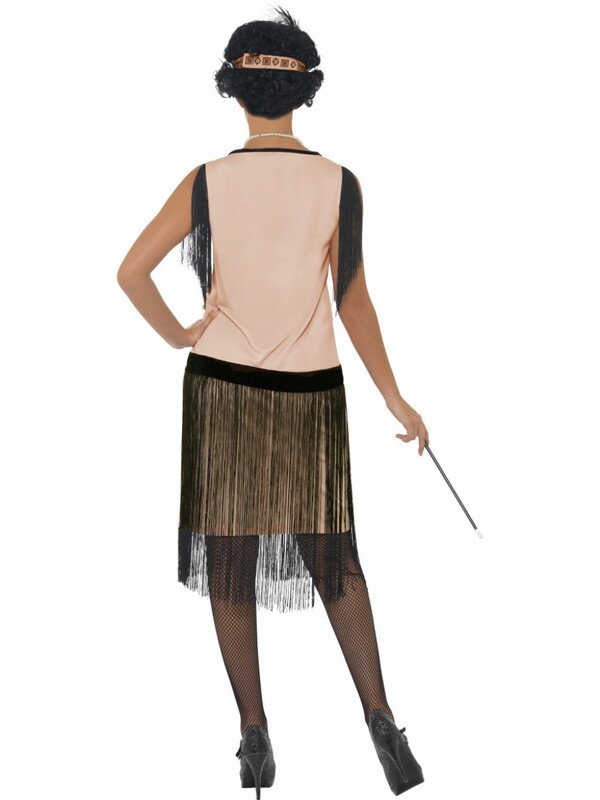 This Coco Flapper Dress Costume includes everything you need to transform into a stylish 20s lady with Flapper Dress, Headpiece, Cigarette Holder and Necklace. The detailed pink and black Flapper Dress has a patterned front and black fringe detail on the shoulders and skirt section. It also has a detailed silver brooch attached to the waistline adding to the glamorous look. The headpiece has a brooch and pattern design to match the dress and a fun feather detail! 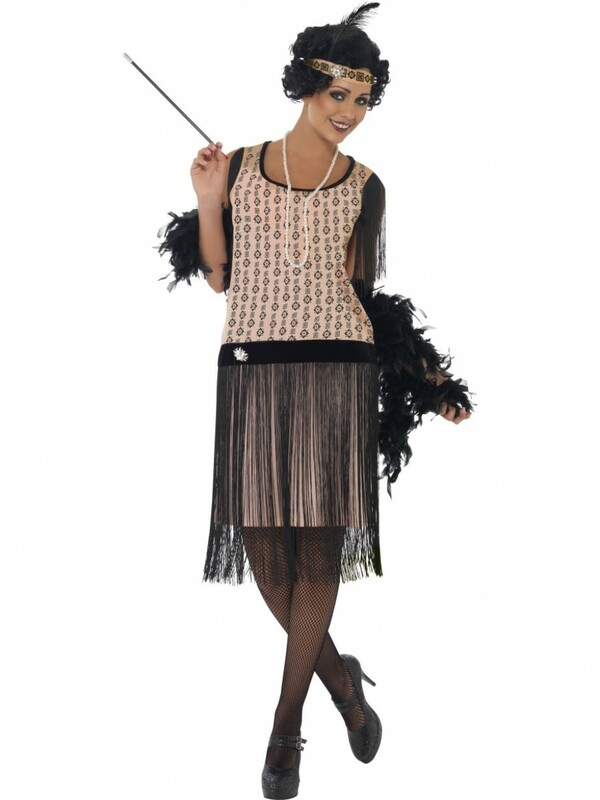 The Flapper Dress Costume also comes with a cigarette holder and faux pearl necklace to perfectly complete this fantastic 20s look! Flapper Dress, Headpiece, Cigarette Holder and Necklace.